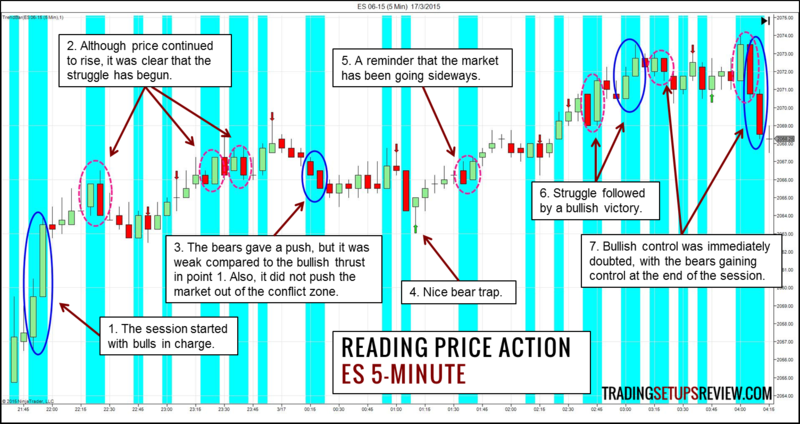 Understanding price action is simple. I am not talking about trading price action, but just reading it. I am referring to grasping what the market is doing right now. Price action results from the struggle between buyers and sellers. It is the footprint of the fight between the bulls and the bears. When you look at a chart, it makes sense to focus on finding the bulls and the bears. To find them, you don’t need to memorize dozens of candlestick or chart patterns. Let’s keep things simple. The only concept you need is the Trend Bar. What is a Trend Bar? I explained the concept of Trend Bars in this setup. I borrowed the term from Al Brooks’ books, but I am using a more technical definition. A Trend Bar has a body that is greater than 50% of the entire bar range. If a Trend Bar closes above its opening price, it is a Bullish Trend Bar. If a Trend bar closes below its opening price, it is a Bearish Trend Bar. Consecutive Trend Bars in the same direction display strength. Recognize it. Opposing Trend Bars imply a fight between the bulls and the bears. Find out who wins. 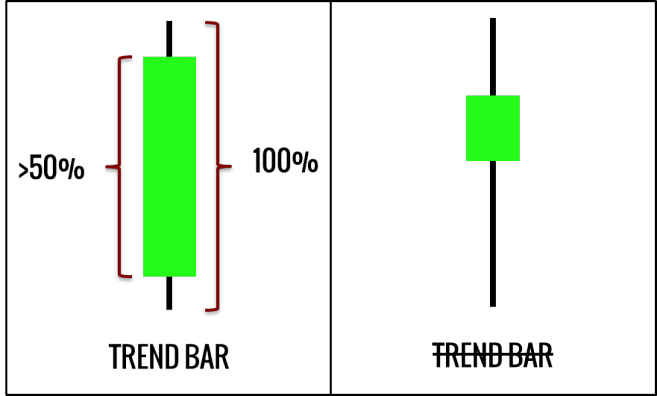 Isolated Trend Bars are potential traps. Traps, by definition, are tricky. Is it really a trap? Let’s take a look at two detailed examples of this useful concept in action. Clear war zone with four consecutive alternating Trend Bars. Bulls tried to push back without much impact. Both fights resolved in a bullish way. Likely that bulls have regained control. A fight that looked bullish. But we knew that the bulls did not have a clear win as the last extreme high was not exceeded. This thrust confirmed that the bears have taken over. You can take a closer look at the red and green arrows. In the right context, they present solid bear and bull traps. The session started with the bulls in charge. However, price soon stalled as both the bulls and the bears got involved. Bears were in, but lacked strength when viewed in context. The bulls won this fight as price broke out above. More bullishness after some struggle. Sideways drift with two more instances of opposing Trend Bars. Bears win. It takes some practice, but anyone can do it too. Open a historical chart, mark the Trend Bars, and practice how to interpret the constant price war. After getting the hang of it, use the same method to understand the live market. Remember that this is NOT a trading strategy. You need much more to form a price action trading strategy. 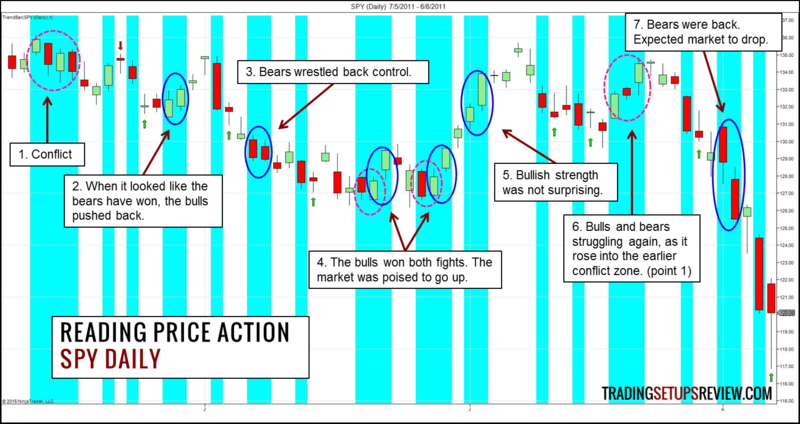 This is a price action method for understanding market movements. It’s not perfect, but it is a solid first step to understanding price action. 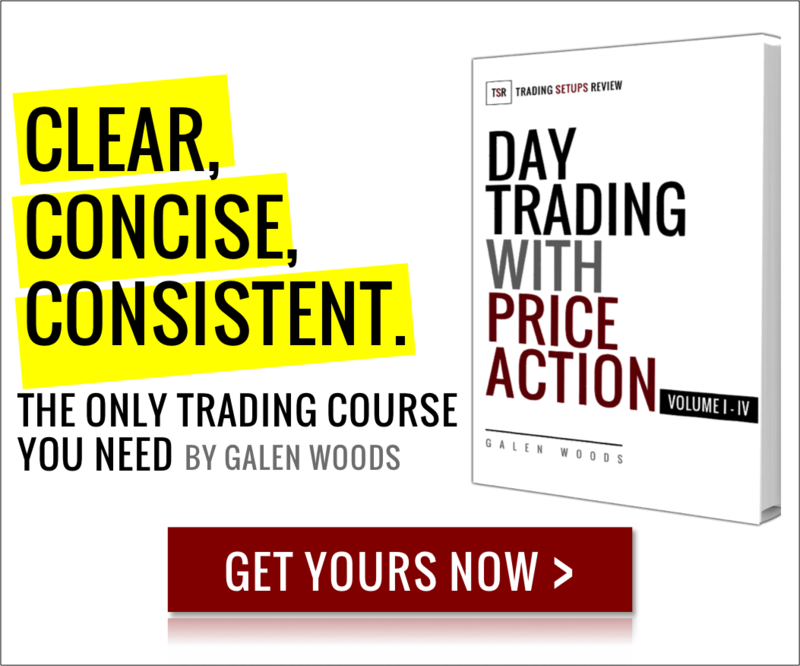 Are those three books by Al Brooks wrote for day traders preferably ? The focus of Al Brooks’ books is trading with 5-minute charts from the ES futures market. But the concepts seem to be applicable to most time frames.